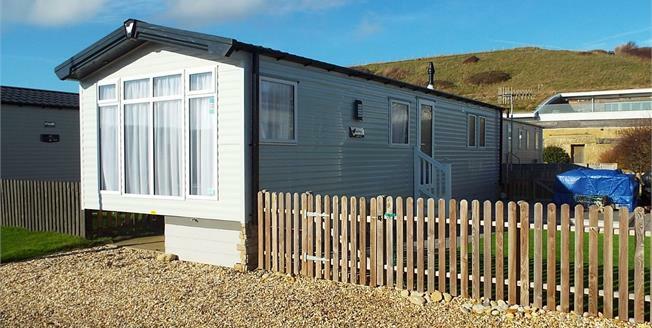 A high specification holiday home with landscaped outside area on a popular West Dorset coastal park. The accommodation includes two bedrooms, master en-suite, open plan living area and shower room. The home is new (2018) and could be for personal use although holiday letting is permitted. The home includes double glazing, central heating, full size kitchen appliances and viewing strongly recommended. Vaulted ceiling, double aspect uPVC double glazed windows, range of cream fronted wall units and light grey coloured base units with roll edged work surfaces over, integrated appliances include full width gas cooker with cooker hood over, fridge/freezer, wall mounted microwave oven and full size dish washer, stainless steel sink with mixer tap, up-stands to match work tops and further splash back to cooker, ceiling light to dining area with radiator. Vaulted ceiling, ceiling lighting, triple aspect uPVC double glazed windows, feature wall mounted fireplace with storage under, radiator, TV aerial point, some electric sockets with USB connection (other rooms also), built-in blue-tooth speaker system. Ceiling light, uPVC double glazed window, white suite comprising pedestal wash hand basin with mixer tap and close coupled WC, towel radiator. Ceiling light, uPVC double glazed window, built-in wardrobe with drawers under, further wall cabinets over twin beds, bedside cabinet, radiator, TV aerial point. Recessed lighting, uPVC double glazed window, white suite comprising large shower cubicle with fitted shower, circular wash hand basin with mixer tap over vanity storage and close coupled WC, wall mounted bathroom cabinet, towel radiator. To the front aspect there is a shingled area for parking two cars. A wooden gate gives access to the side aspect for exclusive use of the home owner. This area area has been totally landscaped by the current owner to a high standard. A paved pathway leads to the entrance of the home passing a plastic turf area. This leads onto a decked seating area. Further features of the outside of the home include lighting and a water tap. 1. This is a new holiday home from 2018 and benefits from a 15 year lease from this date. 2. Occupancy of the park is from mid-March to mid-November. 3. 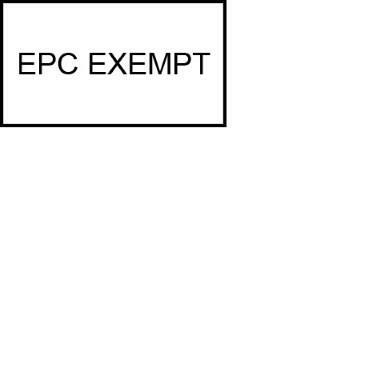 Holiday letting is permitted and the vendor has suggested a figure of £16,000 to £20,000 could be achieved. 4. In accordance with The Estate Agents Act 1979 we hereby declare that the vendor of this property is considered to be an estate agent by reason of their employment and thus we are making the disclosure to avoid any potential conflict of interest.